Our objective is performing efficient janitorial services for Grimsby and we specialize in providing you with expert asset management and complete building maintenance services. We strive to provide you with the best and most efficient services for your business. Our janitorial company specializes in being efficient in performing the janitorial services your building requires. Contact Us! Our trained, experienced and professional janitorial cleaners will get and keep your office clean and healthy which actually preserves your bottom line! The cost of janitorial services and building maintenance is a concern for every commercial building owner and facility manager. 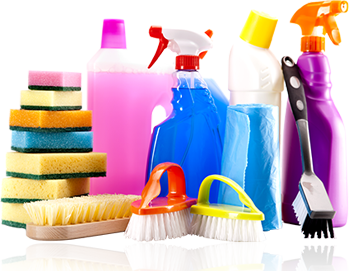 Ask us about our complete range of janitorial services our company offers in Grimsby. Please send us in your request for quote and we will gladly put together a professional quote that will fit your needs. Eco Cleaning Services, Inc. offers a full range of janitorial services for schools and daycare centers, medical facilities, and building maintenance services specific to your cleaning concerns for your entire building. Eco Cleaning Services, Inc. offers you a wide range of janitorial maintenance services. We are one of the leading Janitorial Maintenance Companies in Grimsby that will bundle your Janitorial Services with other Building Services, such as Facilities Maintenance or daily Office Cleaning. Giving you the best possible price. You can rely on our expert management of your assets from exterior janitorial maintenance to interior janitorial maintenance while maintaining a clean healthy environment within your facility. Our Local Grimsby Janitorial clean team can meet all your needs. No job is too big or too small for our staff! Partner Up With Eco Cleaning Services, Inc.
For more information about our Janitorial Services you can Contact Us by phone today at (416) 871-0905 or you can complete our convenient Janitorial Service Quote form to schedule your free estimate. Clean buildings increase employee morale and productivity and decrease absenteeism and turnover. No one wants to work in a dirty building. Show your employees, customers and visitors you care.